Woodrats, or packrats, are nocturnal rodents found throughout North America in a variety of habitat types, ranging from high elevation forests to scrublands, dry deserts, and lowland coastal areas. The group is unified by a propensity to build large, conspicuous dens out of sticks, twigs and other available matter (e.g., pine cones, leaves, cactus pads, rocks, animal bones). 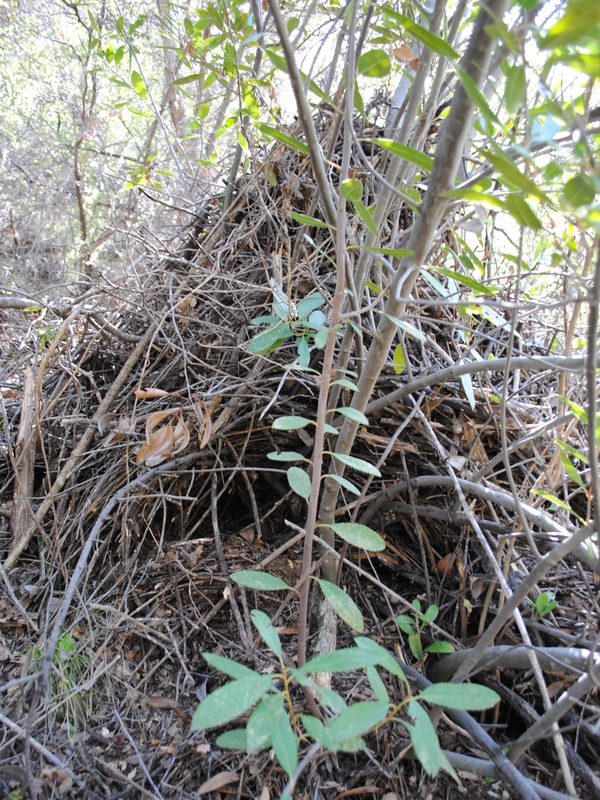 Dens are usually cone shaped, highly complex structures, lasting over several generations and containing several nest chambers, middens, and food stores. Sometimes woodrats collect human garbage and other items to help maintain their dens- I’ve seen aluminum cans, shoes, deflated balloons, flagging tape, and small mammal traps wedged in them. There are many more stories out there of woodrats stealing items from campgrounds, with a particular affinity for shiny objects. They stuff these items inside, or sometimes around the exterior– as if to decorate. 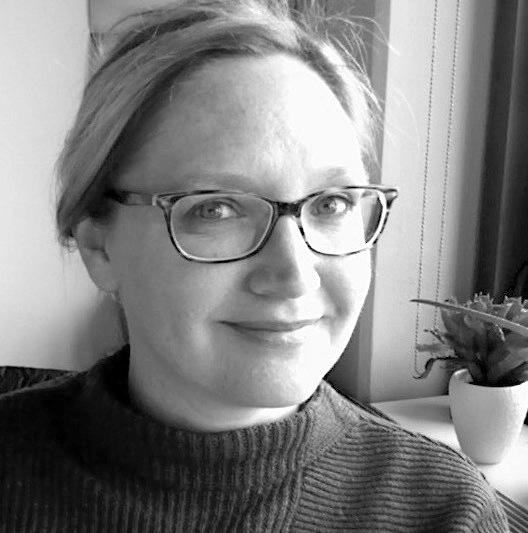 Note, we don’t yet have any evidence that woodrats are decorators like bowerbirds, but they really do like collecting and storing things, which has lead to their common name– packrat. Our work focuses on a population of dusky-footed woodrats (Neotoma fuscipes) at the Quail Ridge Reserve. Woodrats are found in multiple habitat types on the reserve, including scrub interior live oak woodland, chamise chaparral, interior live oak woodland, and mixed oak woodland (QRR Vegetation Map). Click here for more information about woodrat radtiotelemetry at the reserve. We began monitoring woodrats at Quail Ridge in 2002 with a single year of demographic, spatial, and genetic data. In 2010, we started monitoring the population again and expanded our survey into other habitats on the reserve. We noticed a decline in density in our original population in lower Decker Canyon between 2002 and 2012, and preliminary genetic analysis indicates a decline in observed heterozygosity during this time. However, while Decker woodrats seem to be in decline, woodrats in other parts of the reserve are managing to maintain medium to high densities. 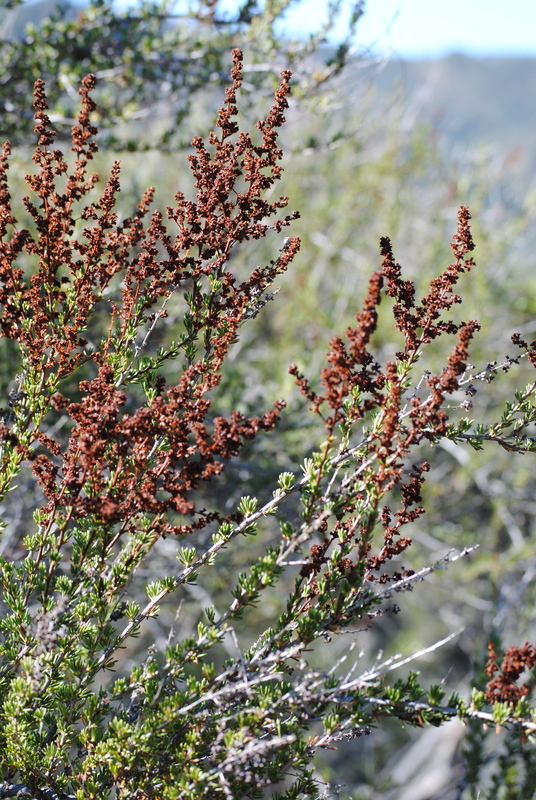 One reason why some subpopulations are surviving, while others aren’t doing so well, could be proximity to chamise, a drought tolerant plant common on the drier south-facing slopes of the reserve. 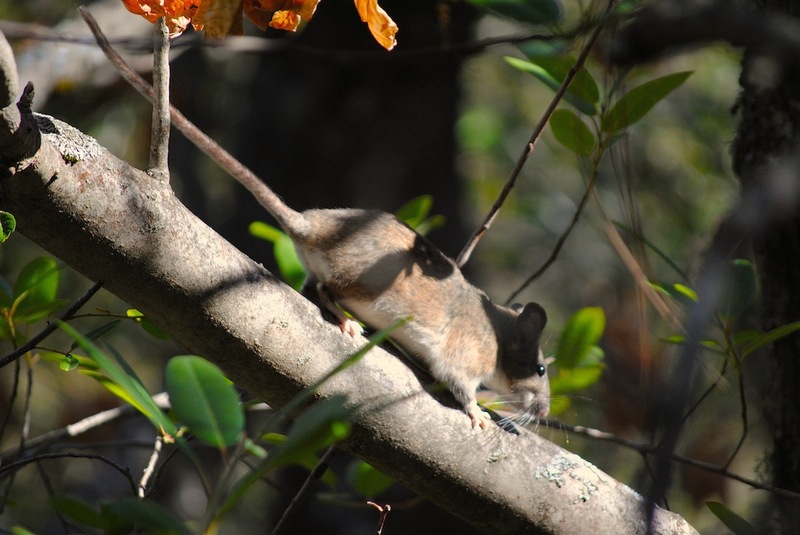 Our diet studies indicate that woodrats show strong preferences for scrub oak and chamise. We were surprised to see woodrats preferring chamise, because it is not common in the woodrat habitats we monitor. Decker canyon, for example, has no chamise in sight. Other trap sites at the reserve (Site 14, and Past Dan’s Pond) are along smaller drainages, and bordered by stands of chamise. We reason that woodrats in these parts of the reserve have been able to survive the drought conditions of the past three years because of access to chamise, in addition to their typical oak diet.